Sibrutal is a diet pill manufactured in the USA by Barri Alternative Products Inc. According to the contact page on the Sibrutal website, the company is based in Los Angeles and the product distribution centre is in Dallas. We were unable to find out much about the company, but they provide customers with an international telephone support and there is also an email address and online form. This is a point in their favour because many diet pill companies adopt a take the money and run attitude and make it very difficult for customers to get in touch with their product queries and concerns. What is Sibrutal and How Does it Work? Sibrutal is marketed as an appetite suppressant. Dieting products that are intended to provide this benefit make it easier for people to feel satisfied with less food. This form of hunger control can be achieved in a number of different ways but Sibrutal is designed to achieve this by creating a feeling of fullness in the stomach. According to the marketing material, the product is the “#1 Stomach Blocker on the Market” and an ideal alternative to surgical procedures. If Sibrutal really was capable of filling up the stomach and helping people to eat less food that would certainly help people to reduce the amount of calories they eat in a day, but there’s a bit problem here. The ingredients used in the formulation are unlikely to deliver such benefits. There are only two of them and they are both more commonly used as laxatives. Each serving of Sibrutal provides 3,000.12 mg of a proprietary blend of psyllium husk powder and cascara sagrada. 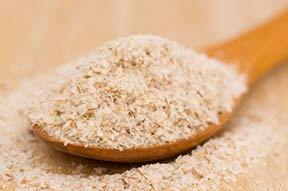 Psyllium husk powder is a form of natural fibre taken from the husks of a plant (Plantago ovata). It’s generally used as a laxative. Psyllium husk fibre has the ability to adsorb and retain water. The presence of so much fluid-laden fibre in the intestines increases the bulk of the stool and causes it to become softer and easier to pass. It is possible that the ingredient’s ability to absorb water, and the resulting bulking effect, may help create some degree of fullness in the stomach, but other ingredients, such as glucomannan, have superior hunger reducing abilities. 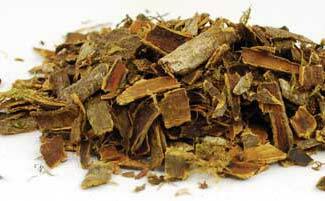 Cascara sagrada is a shrub extract that used to be sold as an over-the-counter drug for treating constipation. However, concerns were raised about how safe it is to use. There were also some doubts about its abilities. The American FDA gave the manufacturers of the drug the opportunity to supply data to support cascara’s ability to ease constipation in a safe and effective way. The manufacturers did not wish to pay for clinical trails and scientific evaluation, so all products that contained the drug had to be removed from the market. The rules regarding dietary supplements are not so strict as the ones in place for drugs, so cascara can still legally be used as an ingredient in dietary supplements. The usage instructions are a little vague. They state two capsules should be taken before meals, with eight ounces of water. The number of doses required per day is not stated, but there are 180 capsules per bottle. Presuming a bottle is intended to last for 30 days (pretty much normal for diet supplements), the dose is probably two capsules, taken three times per day. The label says a serving is six capsules, so this would appear to validate our theory. Sibrutal is unlikely to be suitable for women who are pregnant or nursing a child. People who have existing health problems should always attain medical approval from a doctor before using any brand of supplement. The same advice is offered to people who are using medication. At the time of this review, the official website was still functioning but the option to order had been removed and replaced by a message stating the site was “under maintenance”. Sibrutal is unlikely to offer dieters the support they need to lose weight, but it could be an excellent option for people suffering from constipation. However, anyone who is looking for a good laxative product will probably need to look elsewhere because the fact that the website no longer allows people to place an order suggests Sibrutal may have been discontinued.